Washington, D.C. —(ENEWSPF)–June 6, 2017. A dozen health, labor and civil rights organizations represented by Earthjustice filed an administrative appeal to the U.S. Environmental Protection Agency Monday, urging the federal government to ban chlorpyrifos, a widely used agricultural pesticide that has been linked to reduced IQ, loss of working memory and attention deficit disorder in children. The attorney generals of New York, California, Washington, Massachusetts, Maine, Maryland and Vermont filed their own appeal calling for a ban also Monday. It is now up to EPA Administrator Scott Pruitt to decide the appeal. Earthjustice appeal to the EPA was filed on behalf of the League of United Latin American Citizens, United Farm Workers, Farmworker Association of Florida, Labor Council for Latin American Advancement, Farmworker Justice, GreenLatinos, National Hispanic Medical Association, Pineros y Campesinos Unidos del Noroeste, Learning Disability Association of America, California Rural Legal Assistance Foundation, Pesticide Action Network North America and Natural Resources Defense Council. In March, the EPA refused to ban chlorpyrifos arguing the science is “unresolved” and that it would study the issue until 2022. With this action, the EPA reversed its own proposal to ban all food crop uses of chlorpyrifos. The agency took this position even though EPA found chlorpyrifos unsafe in drinking water in 2014 and 2015. 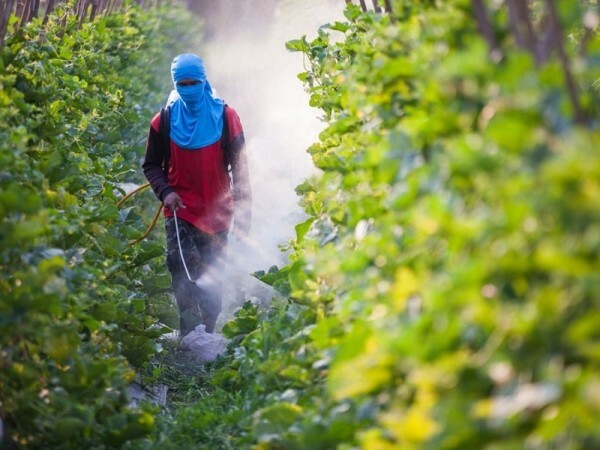 And even though in late 2016 EPA concluded there is no safe level of chlorpyrifos exposure in food or drinking water, and that workers are exposed to unsafe levels of the pesticide even with maximum protective controls. In 2016, the EPA also confirmed chlorpyrifos is found at unsafe levels in the air at schools and homes adjacent to agricultural areas. This appeal comes two months after Earthjustice asked federal appeals court judges to order the EPA to decide now whether to ban the pesticide. That court ruling is pending. The new appeal challenges, on its merits, the EPA’s March action that allows chlorpyrifos to continue to be used on food crops. Since Administrator Pruitt has said he wants to delay the pesticide ban, the groups have also filed a court case that asks the 9th Circuit Court in San Francisco to decide the issues presented in the administrative appeal because of the likelihood of a delayed resolution by the EPA. In addition, Earthjustice, along with Friends of the Earth, Center for Food Safety, U.S. Public Interest Research Group, UFW, PAN North America, and NRDC, submitted nearly 150,000 comments to the EPA asking for a ban. Chlorpyrifos was banned from residential use 17 years ago. Yet this organophosphate—which comes from the same chemical family as sarin nerve gas—is still widely used on strawberries, apples, citrus, and more. It is linked to long-term damage to children’s developing brains and nervous systems at low levels of exposure during pregnancy and early childhood. It is also acutely toxic. While families across the country are at risk, farmworkers and children in Latino communities in rural areas face disproportionate exposure. Just in May more than 50 farmworkers picking cabbage outside of Bakersfield, California, were likely exposed to chlorpyrifos that may have drifted from a nearby field. At least twelve people reported symptoms of vomiting and nausea. One person fainted.